Tom Langdon, a weary and cash-strapped journalist, is banned from flying when a particularly thorough airport security search causes him to lose his cool. Now, he must take the train if he has any chance of arriving in Los Angeles in time for Christmas with his girlfriend. 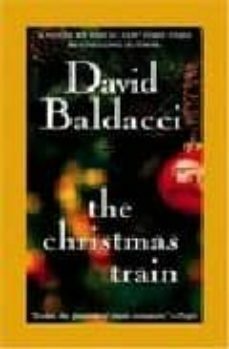 To finance the trip, he sells a story about a train ride taken during the Christmas season. Thereupon begins one of the most hilarious-and heartwarming-journeys ever told. Along the way, Tom encounters a ridiculous cast of characters, unexpected romance, and an avalanche that changes everyone's Christmas plans. As the mighty Southwest Chief chugs along, Tom learns what really makes the holiday special in a remarkable novel that will charm all who read it.